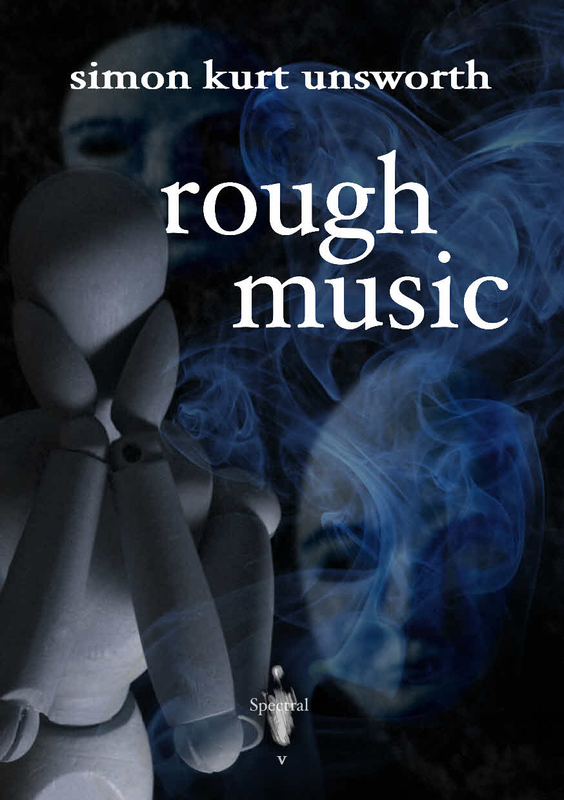 So, first up this bright Tuesday morning is a new review of Simon Kurt Unsworth’s Rough Music – this one was written by Walt Hicks and can be found on his Hellbound Times blog. Walt has been a consistent supporter of Spectral Press ever since it opened its doors – so what did he think of the first issue in the imprint’s second year? Find out here. “In the early 1300’s, rumors of a terrible plague began to spread throughout Europe. Entire regions of China and India had fallen, and it seemed death itself was drifting westward. Rumor became reality in 1307 when a Genoese ship pulled into the port of Messina with a dead and dying crew. The Black Plague had arrived, and by 1350 an estimated 50-70% of England’s population had perished. 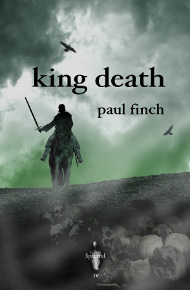 In Spectral Press’ fourth offering, Paul Finch transports us back to this slightly exaggerated time where the mortality rate more closely resembles that of Captain Tripps than the actual Plague. It is a world no longer in the thralls of death, but a world which has gasped its last pitiful breath, and lies rotting under an unremorseful sun. Rodric, a former member of the free-companies, has seen his fair share of destruction. Clad in a suit of black mail with a skull emblazoned upon his helmet and shield, he rides through the silent, fetid countryside (on a pale horse no less) ridding corpses of their riches and the few survivors he encounters of their lives. He is a man without honor or remorse. Hardened by war and having grown increasingly numb to the horrors that surround him, he sets out upon his diabolical crusade with little sympathy. One day, while Rodric reflects upon his incongruous kingdom, he spies a well-bedecked page-boy, half alive and stumbling through the valley below him. Greed spurs him into action, and after his alter-ego cows the boy into a terrified silence, he presents himself as Death, King Death, and demands to be taken to the wealthy lordship he abandoned. In return, he agrees to grant the boy’s final wish, to join his family in death. But once they arrive, Rodric learns that there is a precipitous price to be paid for masquerading as Death, and realizes, albeit a bit too late, that it’s not always good to be King.